Your cat is a consumer. Cats (aka, their human slaves) consume huge amounts of cat toys, cat trees, and cat litter, every single day. But there’s hope. 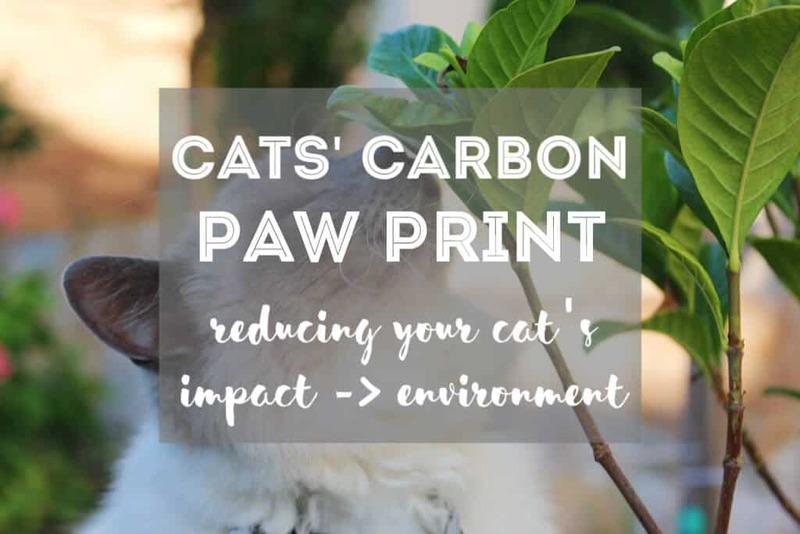 Learn how to reduce your cat’s carbon paw print! Whether we realize it or not, our purr-chasing power comes at a heavy cost – to the environment. Many cat toys, cat litter, cat scratching posts, and cat food, are produced in ways that are harmful to our ecosystems. Luckily, however, we can correct our bad habits by taking an initiative to reduce our cat’s carbon paw print! There are several ways we can be better eco-conscious and eco-friendly cat owners, but there are three core steps YOU can take TODAY. Many, and by many, we mean most companies who produce cat products do not take the environment into consideration. Cat toys are often produced in China with irresponsibly-sourced materials. The same goes for cat trees, cat litter boxes, cat bowls, etc. Practically everything we buy for our felines isn’t eco-friendly. But luckily, there ARE brands out there who are doing it right! They make their cat product with recycled and/or organic materials thus giving another life to trash to be eventually recycled and reused again. How cool, right?! The trick is finding these environment-first companies. These types of eco-friendly micro businesses are popping up more and more in the cat industry and we can’t be more excited. 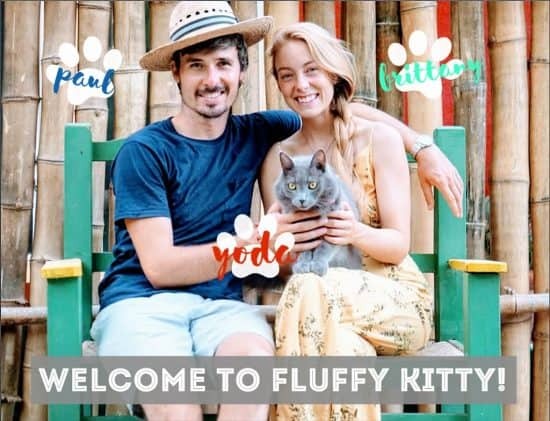 Now you can find 100% recycled cat scratching posts, eco-friendly cat beds, 100% biodegradable cat litter, handmade cat toys, organic catnip, products with recycled plastic, holistic cat food and more! These are the brands we need to support and invest our money in. Not the big brands who produce tons of tubs (say that 5x fast) of harmful clay-based litter (for example). 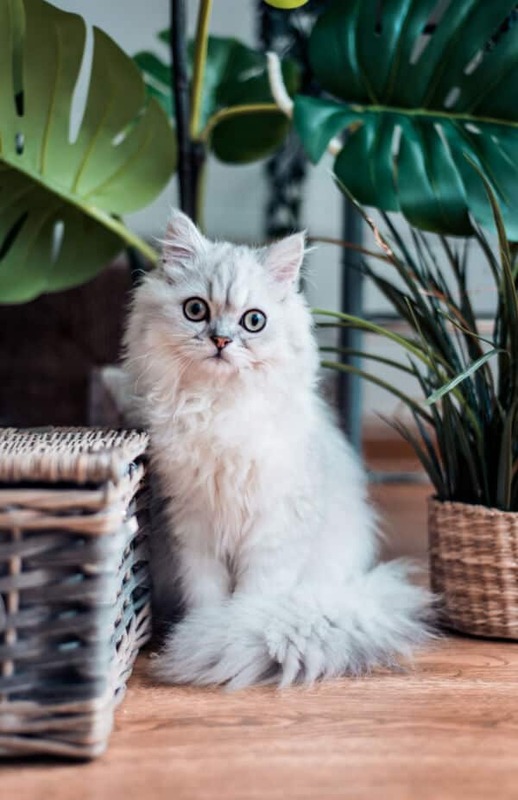 The first crucial step you can make towards better protecting the environment and reducing your cat’s carbon paw print is by changing your current buying habits. That means, instead of normally buying your cat’s commercial (big store) brand litter, search for eco-friendly alternatives first. Eco-friendly cat products are a win-win for everyone. When you make a search on Amazon (or wherever) for your cat products, get into the habit of looking for eco-friendly products first! You can take action today to help reduce your cat’s carbon paw print! There are several ways you can be an eco-friendly cat owner. Here are our tips for improving how you care for your feline, the eco-friendly way! That’s already six ways you can choose to use only eco-friendly and sustainable or recycled cat products. Cat food: Avoid buying cheap, mass-produced cat food. Instead, research for more holistic cat food brands who focus on using responsibly-sourced, high-quality and natural ingredients. Litter: Kitty litter is one of the worst polluters. Clay-based litters are irresponsibly manufactured, stripping away precious minerals in such a way that intoxicates our water systems. 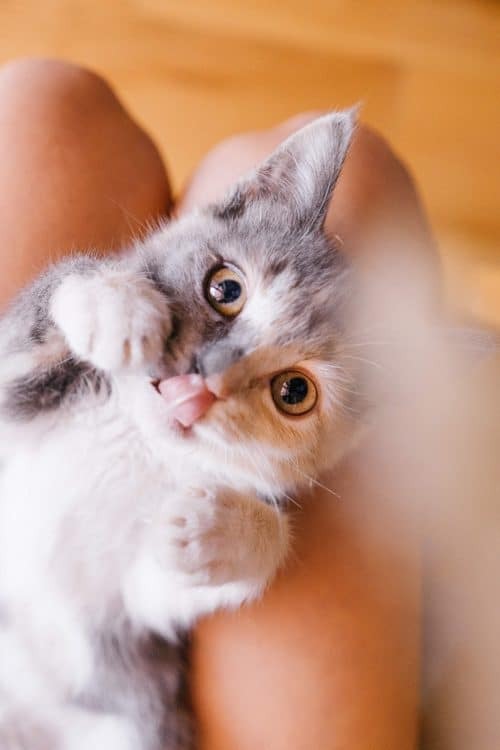 Instead of using dusty clay-based litter (like TidyCats), opt for biodegradable cat litters, such as recycled paper, wood pellets, walnut, grass, pine, and more. You can also consider composting your cat’s litter. 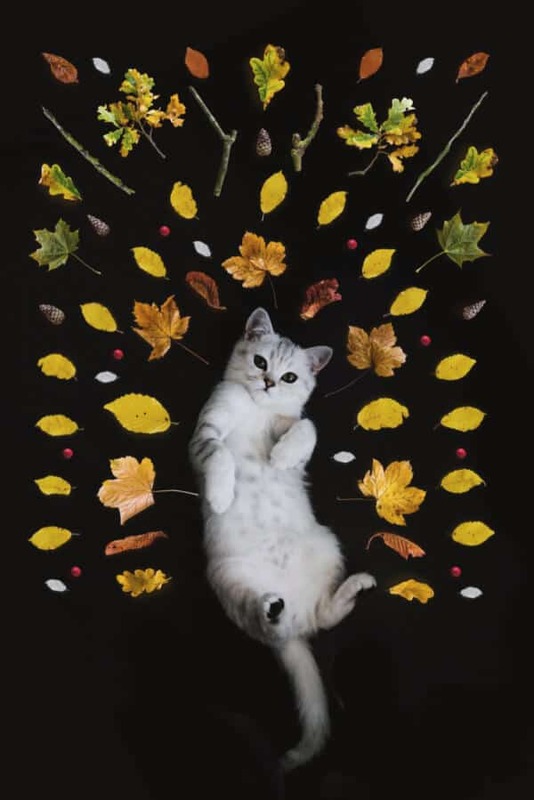 Trees and cat scratching posts: Cat trees are heavily manufactured in China with faux carpeting and wood. You can easily find eco-friendly cat trees and cat scratching posts with just a quick internet search. There are brands who use recycled cardboard, recycled and refurbished wood, and natural glues, among other materials. Carriers: Believe it or not, you can even find eco-friendly cat carriers these days made with recycled water bottles! Cat beds: Forget the cat beds in Target or your large commercial store. Instead, opt to buy from local artisans (you can find eco-friendly cat beds on Etsy, for example). On Amazon, you can find cat beds made from sustainable Merino wool. This adds to your green thumb significantly! Water/food bowls: Many cat bowls on the market are made from plastic. Plastic is a terrible option for a cat bowl because it can easily reproduce bacteria with the tiniest micro-scratch. Opt for stainless steel bowls or ceramic bowls instead. In today’s world, do-it-yourself (DIY) projects are trendy and very popular. So why not give your craftsmanship skills a go by making your own cat products? It’s easier than you think and you can use recycled material that you probably have lying around the house right now. You can make your own cat shelves, a cat litter box enclosure, cat scratching post or board, your own cat litter – even your own homemade cat food! It feels like the list is endless. There are so many opportunities to cut down your impact on the environment by adopting an eco-conscious lifestyle – at least when it comes to caring for your cat! We are not saying that you must do all of these things, but just one choice counts. We all contribute negatively to the system that’s in place today. But instead of focusing on the negativity, we can all make one choice that will reduce our carbon footprint. If it’s just consuming less and buying better, that’s already a huge achievement. Once you’ve made your decision to switch to using more eco-friendly cat products, keep the momentum going and stay up-to-date with new research and new cat products on the market which focuses on locally and sustainably-produced cat products. Support those businesses as much as you can – even if that’s just a “like” on their business Facebook page. Everything helps even if you don’t buy their product. Spread the word of eco-friendly cat care! We are all learning here which is why we should all try and spread the word about reducing our cat’s carbon paw print. Start by sharing an article or eco-friendly cat product with a friend, or by showing off your own eco-friendly litter or cat toys and trees at home when you have guests over. Every little bit counts! In sum, not only will the environment benefit from your choice to switch to eco-friendly products, but your cat will too! Natural products are better for our felines and for our homes. Let’s invest our dollars in products and brands we trust in! Together we can make a positive impact in the cat community. Do you know of a cat business or product that puts the environment first? Let us know and we’ll feature them in this article!